Series looking at traditional Japanese crafts. On Kyushu, a family of Samurai sword makers continue a tradition their ancestors began 230 years ago. 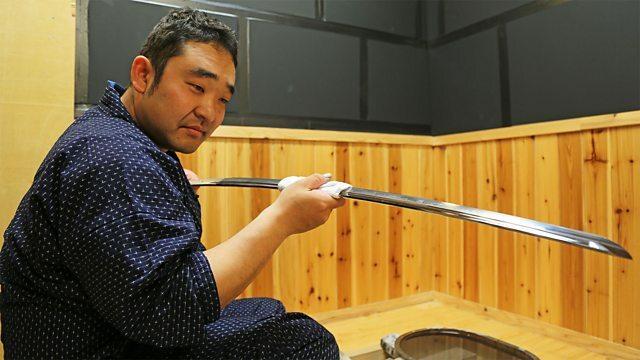 On the island of Kyushu in Japan, one of the country's last remaining families of Samurai sword makers are continuing a tradition their ancestors began 230 years ago. Working with his brother and son, Shiro Kunimitsu is dedicated to perfecting the art of producing swords of exceptional sharpness and durability. This film follows Shiro and his family as they lovingly craft a sword - a process that takes many months. We discover the importance of the sword in the ancient Samurai code, its enduring spiritual and symbolic power, and the challenges facing the dwindling numbers of sword makers in Japan today.